High gloss, pure and precision four-color registration, gorgeous colors, strong lightness. High density, high color saturation, clear printing node, strong 3D perception, super natural colors. Excellent water-ink balance, suitable for new generation high speed printers, perfect printing quality. 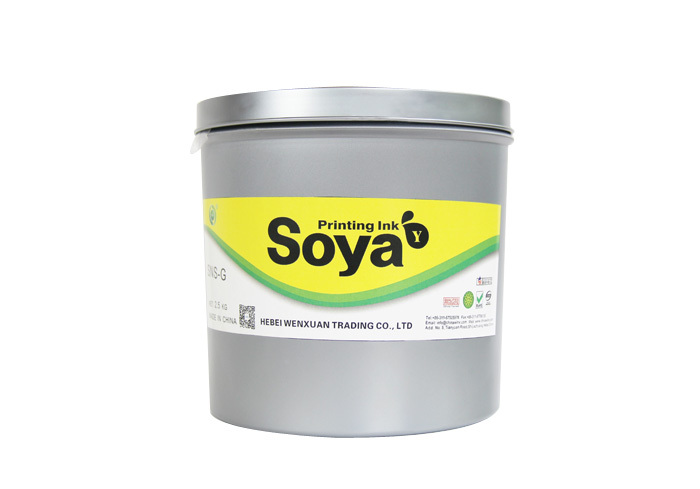 Genuine non-skinning ink, quick wetting on paper and slow setting on machines, standby period extended at maximum, suitable for long time continuous printing, easy cleaning. Using soybean oil, non-toxic, no off- smell, Pb and Cr free, eco-friendly. 1. Tack: ink meter at 32℃, 400 1 minute. The data are determined at stipulated conditions and they are only for reference, due to variousness and complexity of printing environment, printing substrate, machining condition and requirement of customers for chemical and physical characteristics of printed matter. The quality guarantee period is 3 years and it can still be used after the period when the technical data are qualified.